Shrey Bhargava, the actor at the centre of the controversy over minority-race representation in the media, has been questioned by the police over an online posting he made, TODAY reported on Thursday. When contacted by the media, Mr Bhargava confirmed that he had met with the police after police reports were made about the posting. 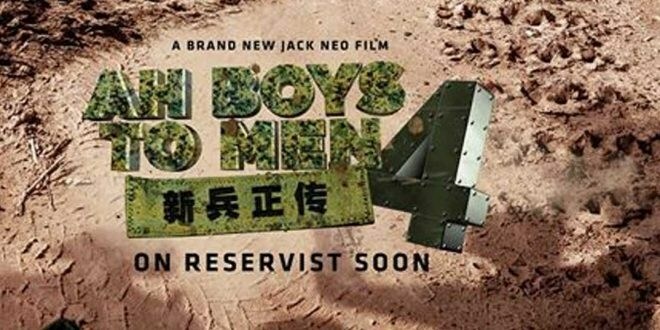 Last weekend, Mr Bhargava had posted on his Facebook page his experience auditioning for the upcoming Jack Neo movie, Ah Boys To Men (ABTM). He said that he was asked by the casting director to “be a more full-blown Indian man” at the casting. Mr Bhargava said that although he felt uneasy about the request, he went ahead and performed as requested. It was only later that he took to social media to vent his frustration at being asked to do a stereotype character which he felt was insulting to his ethnic community. His post quickly went viral and sparked wide debate online. According to TODAY, the police had asked him about “the intentions [behind] his post”. According to TODAY, Mr Bhargava said the police told him “not to worry about anything as I had done nothing wrong”, but also advised him to “be cautious about what I post online as people may misinterpret me and my intentions to my detriment”. The police also told him to contact them if hate speech and abusive comments against him continued. J Team Productions, the company behind the casting and movie, had said earlier in response to the controversy, that it had requested Mr Bhargava to perform the scene in various ways, which included one as a “full blown Indian man.” This, they said, was to test his “versatility” as an actor. Mr Bhargava denied that this was what occurred. The J Team also did not test for versatility, Mr Bhargava said. “Instead, they defined for me what being Indian ought to mean and that is the crux of the matter… What did they mean by “Be more Indian”? Do they have a premeditated idea of what it means?… And why is being ‘more Indian’ supposed to be ‘funny’,” he asked. It is unclear who had made the police report which led to the police interviewing Mr Bhargava.